Exclusive NJPW themed items from sponsor LEC Inc. available at the G1 Special in USA! 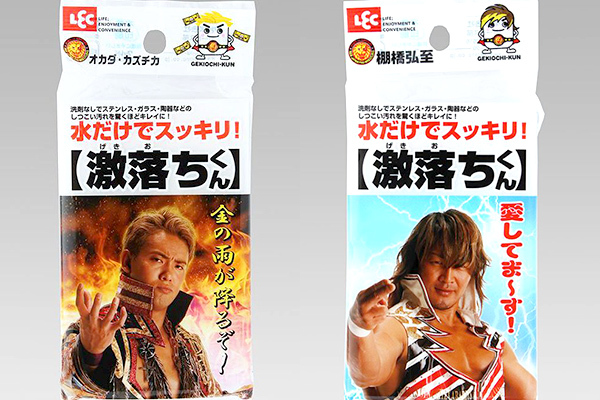 The first 60 fans who purchase $10 or more of LEC Inc. items at the press conference will receive Hiroshi Tanahashi & Kazuchika Okada signed Gekiochi multipurpose polishing sponges! * Please note Hiroshi Tanahashi & Kazuchika Okada signed Gekiochi multipurpose polishing sponges will not be for sale at this event. Hiroshi Tanahashi & Kazuchika Okada signed Gekiochi multipurpose polishing sponges will be available for sale at the merchandise area! More information on the G1 Special in the US Live Press Conference at MARUKAI Gardena Store!